ALFs back, in pog form. And more importantly, in 28mm miniature form. I saw the green for this figure on LAF a year or so ago and it was subsequently made available by Four A Miniatures. 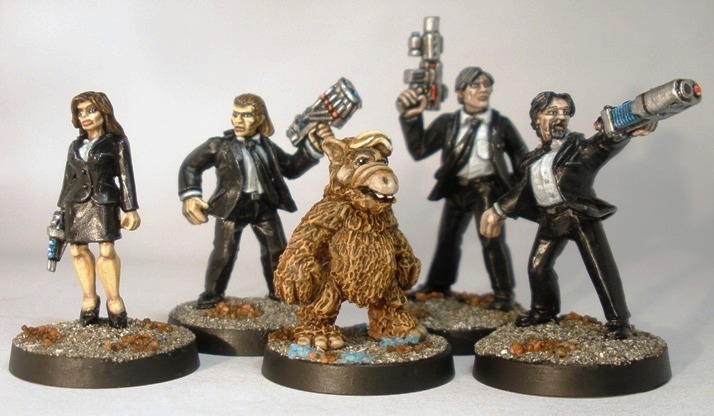 ALF avails of Earthside diplomatic immunity via some (slightly shiny) MiBs. The figure is a little larger than I had expected. 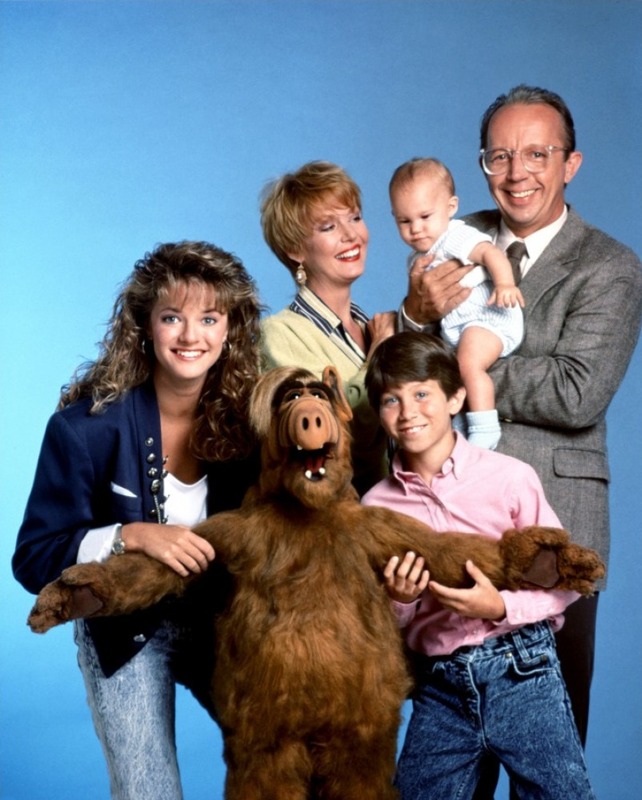 Going by the publicity photos and the occasional shot or clip from the TV show I would have figured that Gordon Shumway was about 1m high. IMDB confirms this as the characters height. I find it sort of funny that a puppet character whose legs only feature in SFX shots has a true height, but there you go. 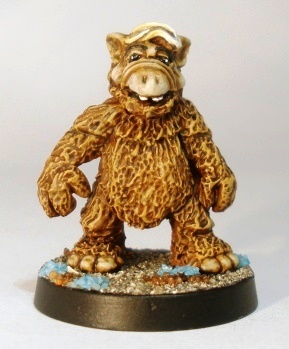 As you can see from the comparison shots , this Melmacian seems to be a bigger specimen than nineties television ALF. The sculpt is immediately recognisable though. 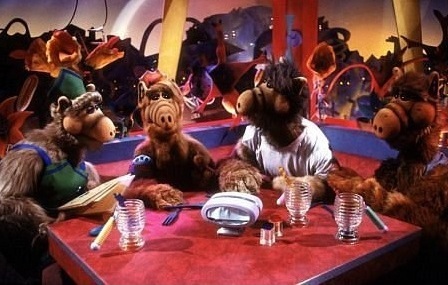 Who is to say that ALF isnt a shorter than average example of the species than this particular cat eater anyway? Still, I would have preferred it if the figure was more petite. 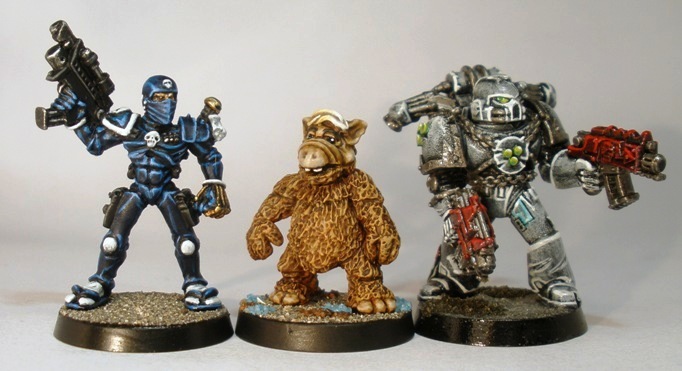 L to R: 40k Rogue Trader era Imperial Assassin, Four A Alien Life Form, 40k 3rd edition Space Marine. After a false start by painting the figure in a more orange tone, I went with a pretty straightforward basecoat-wash-drybrush affair on the fur. I tweaked it here and there, but I didnt want to get too heavily into what should be a straightforward and quick paint job. Possibly I should have spent a little more time on the floppy quiff, but after I got the face to a passable level I decided to leave it as is and move on to the next project. ALF is likely to show up in some 40K skirmish games chez sho3box in 2013, likely as part of a radical Ordo Xenos Inquisitorial retinue. He is a good proxy for a jokaero visually, although as aliens go ALF was pretty powerless. He didnt have any particular abilities beyond those that a hairy one metre tall human might have as far as I can remember. Correct me if I am wrong. Melmacians come in a lot of shapes and sizes and a perverse part of me now wants to paint up a few more. That way madness lies however. I am very unlikely to actually do it. Probably. Painting this figure has also made me want to get some of my 28mm cat miniatures painted. A gyrinx companion for said Ordo Xenos Inquisitor both makes sense thematically and taps into ALFs shtick. Thats going to happen for sure. The fur worked out well, but it wasnt rocket science, I didnt do anything inspired. Basecoat, wash, drybrush, done. The fact that ALFs “fur” looks pretty artificial in the first case probably helped. 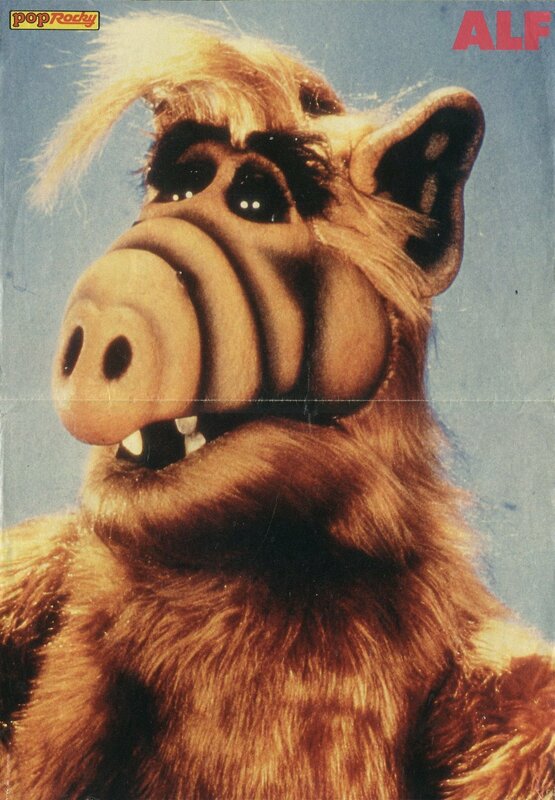 I definitely used to watch ALF pretty regularly but I have very little recollection of what happened other than an episode where ALF nearly burned down a hotel with a talking toaster. It was a fun little miniature diversion all the same.